The company logo shines off the grille of an unsold pickup truck on the lot of a Toyota dealership. Just when Toyota thought its safety problems were over, they flare up all over again. Less than a year after it was tarnished by reports of runaway cars, the automaker recalled 1.5 million vehicles Thursday to address brake-fluid and fuel-pump troubles, drawing new attention to safety issues that have festered inside the company for years. The world's No. 1 carmaker said there were no accidents or injuries connected to the latest recall, which covers some Lexus and Toyota models from the 2004 to 2006 model years, mostly in the U.S. and Japan. Link: "Toyota Announces Intent to Voluntarily Recall Certain Toyota Avalon and Highlander, and Lexus GS300, IS250, and IS350 Vehicles to Replace a Brake Master Cylinder Seal"
For Toyota, the latest recalls hurt the company's image just as it tries to clear up old problems, said Jean-Pierre Dube, a marketing professor at the University of Chicago. Some previous braking and acceleration problems were blamed on driver error, he noted, but these problems were because of deterioration of parts. "This is starting to look more like a chronic problem for them," he said. "It's hard to imagine this can't have some effect on how consumers are going to perceive the Toyota brand and to what extent it represents reliability." Safety experts said it was an example of a new Toyota scrambling to clean up messes from its past. Toyota started getting reports of brake-fluid leaks in some of its models in February 2005, and it took more than five years to issue the recall. Toyota has now recalled more than 11 million cars and trucks around the world over the past year for problems including faulty gas pedals, floor mats that can trap accelerators, braking problems and stalling engines. Toyota took a hit on its once-impeccable reputation, not to mention its sales. This time around, it chose to recall rather than stonewall, said Clarence Ditlow, president of the Center for Auto Safety, a consumer group. "The company is looking at all of these older defects and making a decision to do a recall, which they wouldn't have done in their pre-sudden-acceleration mentality," he said. While insisting that it never swept safety issues under the rug, spokesman Brian Lyons said the company is reacting far more quickly than it had in the past. "That is part of our commitment to the federal regulators and our customers," he said. 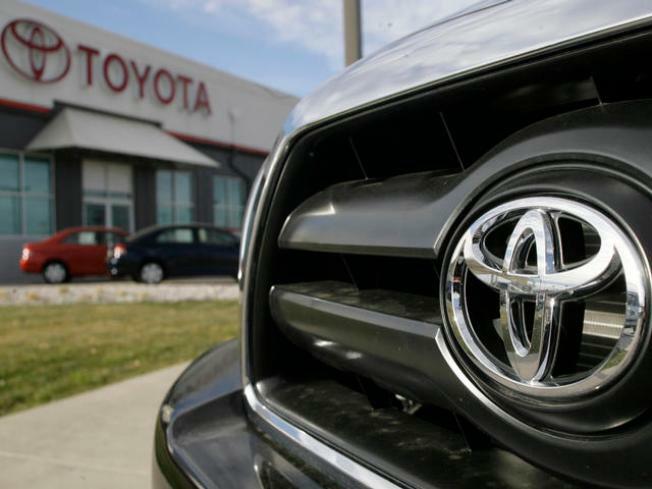 The National Highway Traffic Safety Administration hit Toyota with a $16.4 million fine earlier this year for failing to promptly tell the government about defects in its cars. The new recalls affect 740,000 cars in the U.S. and 599,000 in Japan. The rest are in Europe and elsewhere around the world. Honda Motor Co. also said it would recall an undetermined number of vehicles because of the same brake issue. Since the safety problems hit the news last fall, Toyota's U.S. sales have lagged behind the rest of the industry despite numerous incentives to land customers. For the first nine months of this year, Toyota sales were up 1.4 percent. Overall U.S. auto sales increased more than 10 percent. Toyota spent more than $2,100 per car on incentives in September, up from about $1,500 a year ago _ and at a time when the rest of the auto industry was spending less to woo customers. Rebates and low-interest deals were unusual for Toyota in the past, but incentives were necessary to win back customers after the recalls, said Jesse Toprak, vice president of industry trends for Truecar.com. "It's a process that's not going to be fixed overnight, but all they can do right now is damage control," he said. Toprak added that Lexus' inclusion in the recall could hurt the company's ability to fend off Mercedes-Benz as the best-selling luxury brand in the United States this year. Lexus was behind Mercedes by about 3,000 vehicles through September. Toyota's global profits were hurt by the recalls. The company earned an unusually low $1.2 billion from January to March. Its profits have since recovered, and it made $2.2 billion from April through June. Most of the vehicles covered by Thursday's recall have a problem with seals in the brake master cylinder, which pushes fluid through tubes to force the brakes to stop the car. Some drivers or their mechanics have put in the wrong type of brake fluid, causing some of the seals to curl up and allowing a small amount of brake fluid to leak, Toyota said. If the leaks are left unattended, they can cause a spongy feeling in the brake pedal and eventually brake performance problems, the company said. The other problem, electrical troubles with the fuel pump that can cause the engine to stall, occurred in Japan and other places but not North America. Toyota filed a letter with NHTSA on Thursday saying that it started to get complaints about the brake problem as early as February 2005. The company investigated for the next year and traced the problem to the brake fluid. Lyons said the correct fluid type is listed in vehicle owner's manuals and is printed on the master cylinder itself. Toyota began using different seals that were more resistant to the problem in November 2005. Toyota did not issue the recall earlier, Lyons said, because the problem did not come from Toyota's manufacturing, nor did it pose what he called an unreasonable safety risk. Brake master cylinders have redundant systems, and one would stop the car even if the seals failed on the other, he said. The recall was necessary in Japan because of a regulation there that prohibits leaking brake fluid, Lyons said. "To avoid confusion, we made it a global recall," he said.